Wild fire warning issued for Eastern Pa., N.J., Del. Spectators watch as a fire and backfires set to contain it burn in the Pinelands in Burlington County over the weekend. The National Weather Service has placed the entire region under a red-flag warning because conditions are ripe for wild fires to break out and spread. The warning is in effect from 10 a.m. until 9 p.m. The alert comes as officials in New Jersey are monitoring an 11,000-acre section of the Pinelands in Burlington County, where a fire that started over the weekend has been contained. Investigators say that fire started in an area where people are known to gather and set illegal bonfires. The areas in pink are under a red flag warning for possible wild fires. The weather service issues the warning when a combination of strong winds, low relative humidity, and dry fuels are in place and create conditions for wild fires to develop and spread quickly. Prescribed burning at Valley Forge National Park, which was slated to continue Wednesday to control high priority invasive plants, was canceled due to the weather and has been put on hold until the fall. Prescribed fire operations for this spring have concluded. Fire operations for Wednesday, April 3rd are CANCELED due to weather. The park successfully burned "Field 1" - approximately 106 acres - on Tuesday, April 2nd. "Field 23" may be burned at a future date in 2019. 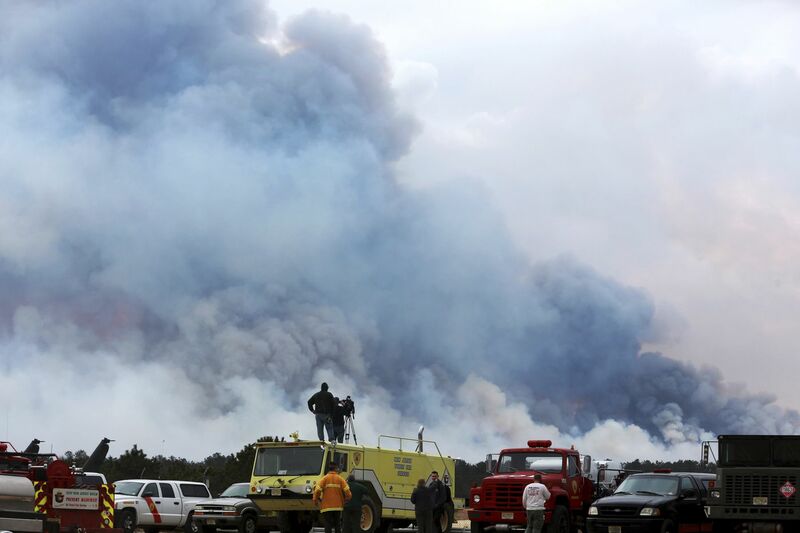 On Tuesday, the park burned 106 acres at the historic site. The forecast calls for a high of 65 degrees with sunny skies Wednesday. It is expected to be breezy, with a west wind of 5 to 10 mph increasing to 15 to 20 mph in the afternoon, with gusts as high as 40 mph and even 50 mph points north.